The ocean between kajakistan and ujbekistan , Aral the world fourth largest sea have been dried now completely. Americal agency NASA’s Satellite sent a photo says that the sea which was built before 55 lack years before in the kijikulam desert have been dry now. It was the fourth biggest sea in the starting of the decade of 1900. It is known that the ocean have been died due to Water diversion project of Soviet Union in the 1960 Decade. According to NASA, the loss of ice due to freezing conditions on the mountains, the melting water in the Aral Sea fills. 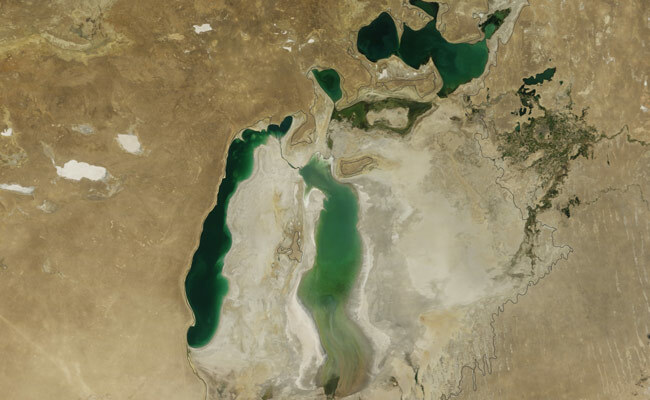 Experts feared that by 2020 the Aral Sea will be completely extinct.